With his laid back, observational style of humour, Chris Radburn is one of the hottest new comics on the scene today. In 2002 Chris decided to trade in his career as a lawyer to that of a stand up comedian, and hasn’t looked back since! Chris has well and truly proved himself to be one of the most popular young comedians, whether it be in the public, corporate or media arenas. 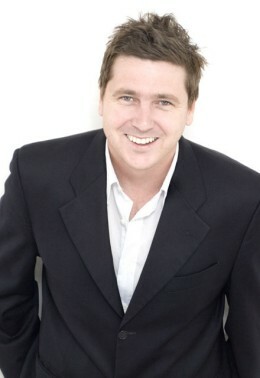 2008 has been an outstanding year for Chris after making an hilarious appearance on ‘The Footy Show’ and travelling to Miami, USA to perform on the US television show ‘Last Comic Standing’ where he successfully finished as a finalist in the international showcase. Chris has also performed internationally in New York’s Gotham Comedy Club and Stand up New York, toured to Malaysia, as well as entertaining the Australian Troops in the Solomon Islands. As if that hasn’t kept him busy enough, Chris also regularly performs at the Melbourne International Comedy Festival, Cracker Comedy Festival, Big Laugh Comedy Festival, The Great Escape Music Festival and The Sydney Royal Easter Show! With television and radio experience behind him, watch out for the ‘next big thing’ in comedy – Chris Radburn! Weird Al Yankovic (USA), Tony Woods (USA), Greg Burns (UK), Corinne Grant, Paul Provenza (USA), Akmal Saleh, George Smilovici, Elliot Goblet, Eddie Ifft (USA) Fiona O’Loughlin, Greg Fleet & more!